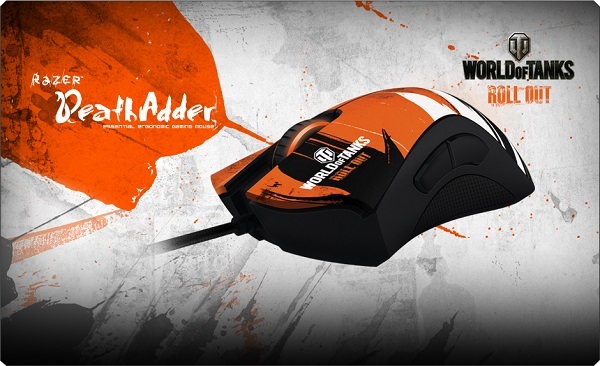 Razer will be introducing a World of Tanks themed Death Adder mouse and Goliathus mouse mat. The peripheral maker is no stranger to pairing with popular games as they have also put out a League of Legends themed Naga Hex and Star Wars: The Old Republic keyboard. The Razer Death Adder was released in 2006, and the new WoT version doesn’t change any functions. It does slap a whole new World of Tanks logo on it, complete with the bright orange colours of Wargaming.net. 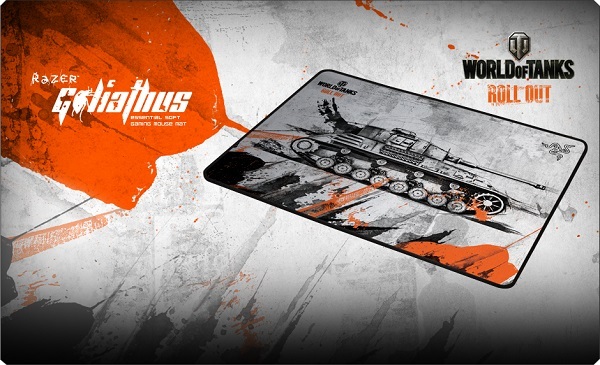 Addtionally, the first 20,000 units of each Death Adder and Goliathus sold will also come with in-game bonus codes for World of Tanks, featuring the exclusive Pz. Kpfw. IV Hydraulic Tank. This Tier V premium tank will only be available to these select few, and is essentially a Pz. Kpfw. IV with a different turret and suspension. Razer’s World of Tanks Death Adder and Goliathus are currently on pre-order, and will be available worldwide in April.